Surprise! The Grammys offered up a performance that nobody expected. No, it wasn’t a last-minute Ariana Grande appearance. Instead, it was a group of leading ladies who gave words of encouragement to anyone who’s ever turned to music to get them through tough times (sound familiar?). 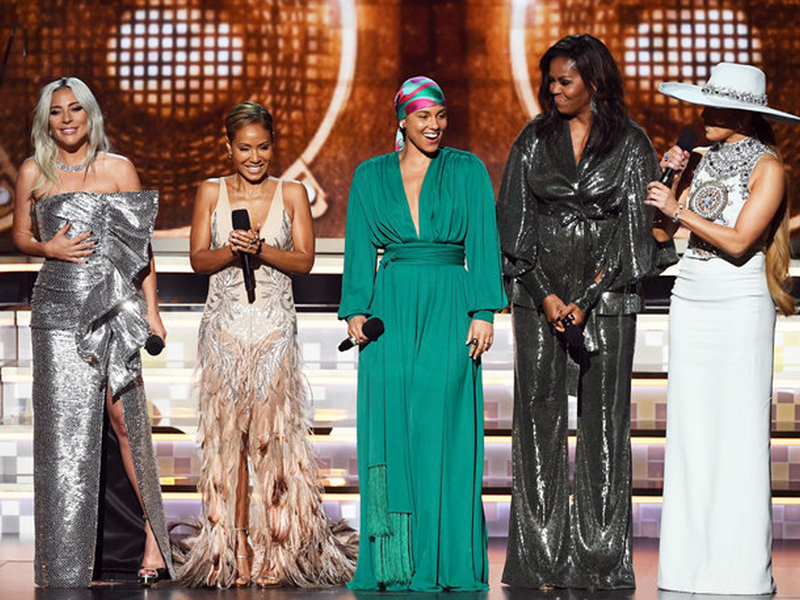 During tonight’s show, host Alicia Keys brought Lady Gaga, Jada Pinkett Smith, Jennifer Lopez, and Michelle Obama onstage to speak on their various backgrounds and how being different isn’t a hindrance, it’s one of the things that sparks creativity. It was exactly what the show needed to get away from last year’s controversial remarks from Recording Academy president Neil Portnow. Obama echoed their sentiments, telling the audience that every voice matters, especially when those voices invite others to share their stories. We’re glad the women were able to take back the stage this year.